We use our pocket charts every day, and below you will find links to two files that I use in our pocket charts. 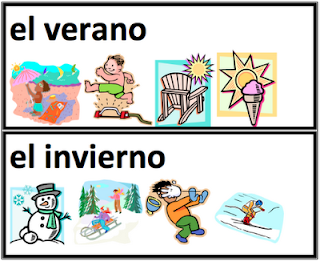 The first is cards for the 4 seasons (las estaciones). We don't use these cards every day, but every now and again we will talk about the season we are in currently. 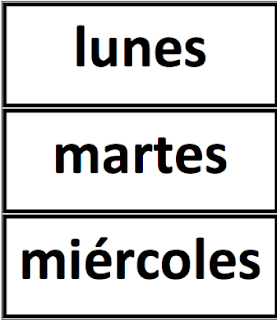 The second is cards for the days of the week (los días de la semana). Each day we sing los días de la semana to tune of "Ten Little Indians." Click on the pictures below to open PDFs of the files.